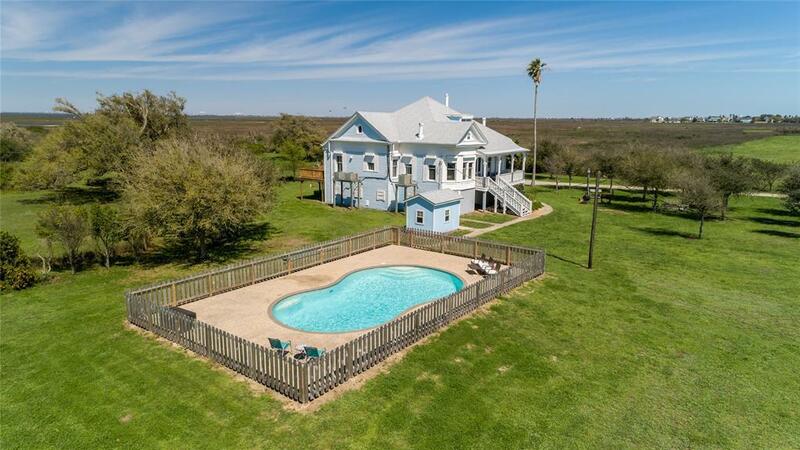 Historical Victorian Island Estate located on Galveston islands West End where nature is undisturbed. 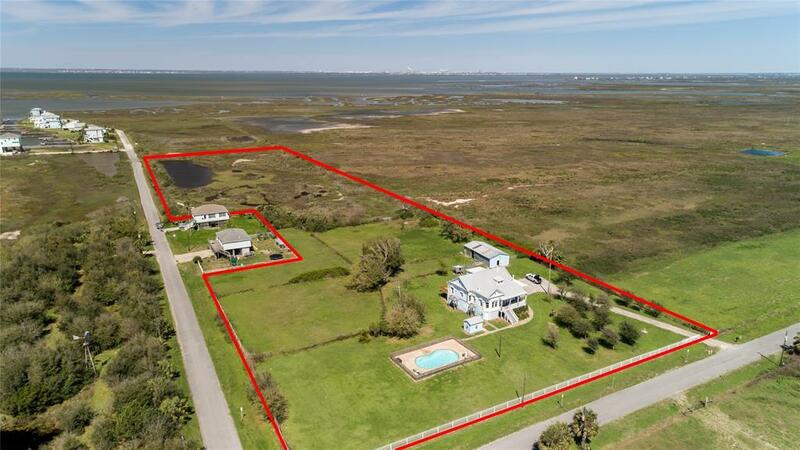 Centrally located between beach and bay with a sunset deck, beautiful pool, shaded entertainment areas adjacent to the nature center. This area is well known to FeatherFest Birders' watching the spring and fall migration. Super high ceilings, gorgeous original woodwork, hard wood floors even a distinguished professors library its all here. Skylight and huge original windows brighten every room. New 2018 roof, inside cargo lift, new a/c, new insulation ready to go. You can feel that the kitchen is the heart of this home with just the right amount of updates so not to disrupt the old world charm. The horses can share their barn with the laying hens, a peacock and the bad goose are just and example of the visiting wildlife. 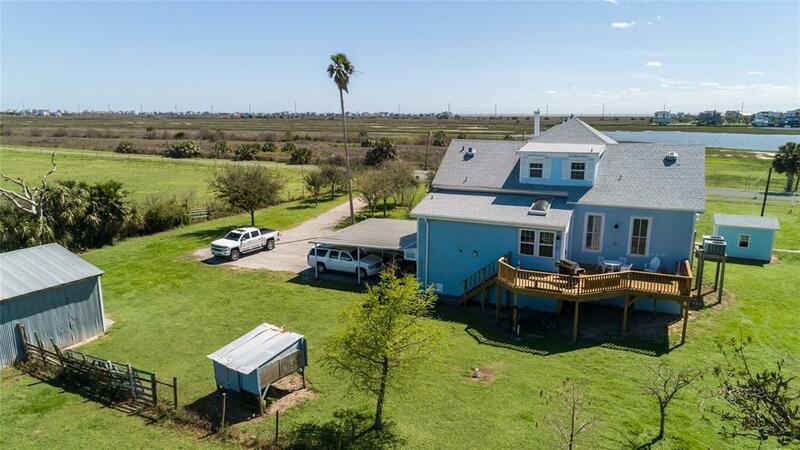 Lovely, charming and peaceful but close to all the fun Galveston has to offer. 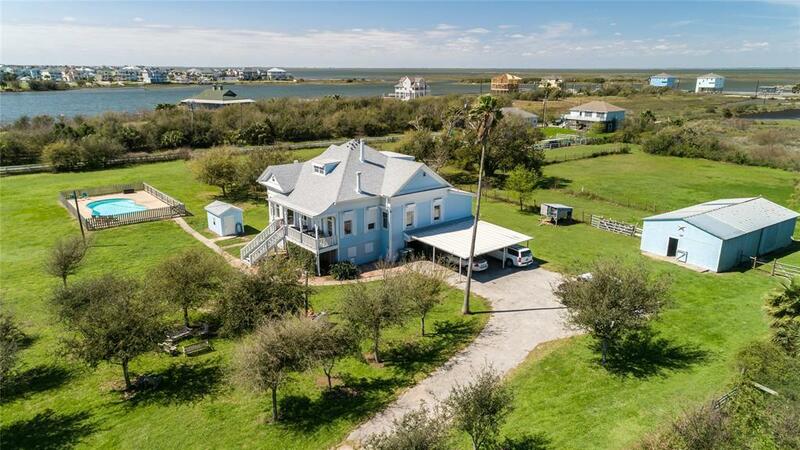 Listing courtesy of Galveston Island Real Estate.